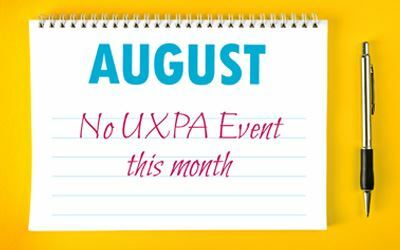 We will not be having a UXPA Event in August to allow our members to enjoy their summer vacations. We'll see you in Sept. Details to come.